Just like any other industry, the restaurant market is being led into the future by technology. Technological innovations and automation are changing the way restaurants operate, and restaurateurs run their business. No one can underestimate the impact that restaurant technology has in a market like UAE, where competition is ever rising, and customers are mostly tourists. Restaurant technology is advancing in leaps and bounds, and as a restaurant owner in one of the most competitive markets of the world, you must know where this technology is headed to take full advantage of it. One such innovation is restaurant POS software. With technology progressing and moving to more cloud-based solutions, restaurant POS softwares have undergone a complete transformation. The only downside is that with all the commotion of more and more products flooding the market, in Dubai and other Emirates; claiming to be harbingers of technological innovation, it gets nearly impossible to decide what to chose. The result is that many restaurant owners get cheated out of their money due to incomplete information regarding how advanced restaurant POS technology is. Here we have for you a complete list of considerations you must pay attention to before you go ahead and invest in a POS. There are many factors that must be considered before making any purchase decision in a restaurant. The same stands true for your restaurant POS software. Your restaurant POS will be the knot tying your restaurant operations together. Hence it is of utmost importance that you choose your restaurant POS after due consideration. Here are some factors you must consider while buying a POS software for your restaurant. 1. What is the Technology Used? Legacy POS is the older technology wherein the POS software is installed on hardware and can be operated from that. This means that if your POS is installed on your restaurant’s computer, you can access the software only from that computer. Cloud-based POS is the new innovation in restaurant technology. As the name suggests, the software operates completely on cloud technology. This means that you can access the POS dashboard through a username and password from any device, even your mobile phone. It is better to invest in a cloud-based POS software as it allows mobility, flexibility, full-time monitoring without your physical presence and is independent of hardware constraints. 2. Does it Provide the Features You Want? The next thing to consider before purchasing your restaurant POS is what features does it have apart from just billing. Is it only a basic billing software or can it perform more functions like inventory management, end-to-end reporting, etc.? The more your POS can take on for you, the better your restaurant can run so make sure you get a restaurant POS software that can automate the maximum amount of work. The needs of different restaurant formats differ. For instance, Table Reservation and Queue Management are dire requirements for a fine-dine restaurant; for a quick service restaurant, not so much. 3. Is It Open to Third Party Integrations? The restaurant POS that you buy must be open to third-party integrations. This is because you may be using different tools for different restaurant operations, and the tools need to be in sync for maximum performance. For instance, you may be using third-party Loyalty Programs for customer retention. However, you need customer data to create targeted campaigns that actually generate results. Unless the Loyalty Program is integrated with your POS, you will not be able to run data-driven campaigns. Similarly, you may be receiving online food orders from multiple food aggregators such as FoodOnClick, Talabat, Eateasy, etc. Integrations with these allow you to receive the online orders directly in your POS without any hassles. 4. How Can The POS Be Used To Prevent Internal Thefts? The restaurant industry is one of the worst hit industries in terms of internal theft. This is so because the owner cannot be present on site all the time, especially in the case of chain restaurants. This creates too many opportunities of even one dishonest staff member to take advantage of. You can invest in a restaurant POS software that comes with an anti-theft feature. This way you will be able to run operations smoothly and even give your staff members room for innovation which you earlier could not for fear of internal theft. 5. Can The POS Support Your Customer Engagement Initiatives? Dubai is an especially competitive market when it comes to the restaurant industry. With a new restaurant cropping up every day, even the tourist destination is struggling with roping in new consumers at a high rate. The solution to this is retaining customers. Restaurants earn more from their repeat or regular customers as compared to new customers. Hence the value of customer loyalty programmes. A restaurant POS software that can not only integrate your loyalty programs in its features but support you to run it efficiently through Customer Relations Management will have a massive impact on your business capacities. 6. Can the POS Lead to Better Customer Service? When your POS can smoothen and quicken your restaurant operations, it can also lead to better customer experience. When a POS software comes with features which streamline back-end and front-end coordination of operations, it impacts your service time and quality positively. This means that table turnover time is reduced; the customers can be given better service, with ease of ordering, booking tables and billing overall customer experience is elevated which ultimately leads to higher sales and recommendations for your restaurant. Delivering a stellar guest service is of the utmost importance for restaurants in Dubai, considering the influx of tourists. Thus, choose a restaurant POS that ensures quick and efficient operations. 7. Can It Map Customer Behaviour? 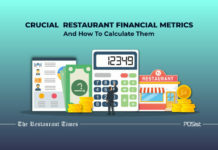 Talking about customer satisfaction and customer loyalty, a restaurant POS that can map the behavior of your regular patrons, understand their spending habits according to their demographics and tell you what they spend more on, which dish they like best, etc. will help you serve every customer better. A restaurant POS that can map individual customer behavior will also help you design your marketing campaigns and even tell you how to attract these same customers to your other ventures. Reporting and analysis are one of the most important, time-consuming and complicated parts of running a restaurant. They are necessary to understand how you have performed, what is selling in the restaurant and what needs to be changed. Ideally, reporting and analysis should be an everyday practice to catch the glitches before they become too problematic but due to time constraint and the considerable number of operations that require attention, this gets pushed behind. A restaurant POS that can generate reports automatically at the end of the day and give you a detailed analysis will save your time and perform the heavier end of work for you. 9. Can the POS Software Monitor Inventory? Inventory monitoring and management is a vast world in itself altogether. Within the restaurant, managing inventory requires a separate department due to the number of functions it entails. This leads to high labor costs, wastage due to certain human errors and scope for internal theft. In a market like UAE where profits are already thinner than the rest of the world, these extra costs are not to be ignored. Once again automation through your restaurant POS can be the solution to all these problems. If your restaurant POS can account for and manage the real-time details of your inventory, tell you precisely what item needs to be ordered and what is getting spoilt and can even place the inventory order automatically with the vendor information that you have fed, then such a POS software is worth investing in. Not only will it make your restaurant management easier, but also cut down on costs and automate operations leading to smoother functioning. 10. Can The Same POS Manage Multiple Outlets? No one opens a restaurant just to be limited to a single outlet. In the tourist-driven economy of UAE, especially Dubai, the restaurant industry is a booming business which means that it will expand and as a restaurant owner in Dubai, you need to expand and adapt to survive. Having a robust POS system that allows you to manage the operations of multiple outlets from a central panel would help you scale your business with ease. 11. What Kind Of Support Will Be Provided Post the Purchase? The restaurant POS software will be running essential functions for your restaurant. In case the restaurant POS crashes, the entire restaurant system may collapse. Thus before buying a restaurant POS, consider the after-sale services and customer care that the company is providing. No matter how good the software or how sharp the technology, it can develop bugs or lag at one point or the other. The after-sale services and customer care services of the company must be looked at carefully and must be given due attention to before making any final decision. With the way the restaurant industry in Dubai is expanding, restaurant technology is going to come to the forefront, and restaurant POS software might as well be the key drivers of growth of the restaurant sector. Consider these tips to ensure that you choose the right POS software for your restaurant. What are the POS survey questions one should be asking?